This fantastic set aired at Cyberjamz Internet Radio during our Summer Slam Music Series w/ Dj Bones (U.K). This set is bangin and mixed proper.We hope you enjoyed it as much as we all did. Cyberjamz Internet Radio Summer Slam Music Series w/ Lenny Penciel was very nice and I'm sure after you stream or download this set,you too will agree that this music programmer is on-point ! Cyberjamz Radio continues to serve our music community in this 12yr of bringing the best programmers to the table.This particular Dj doen't need any introduction as he has been in this music business for quite a time. 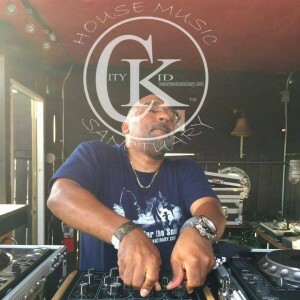 Dj CityKid has been in the forefront of our musical culture and is about to deliver a fantastic set for our Summer Slam Music Series Thursday October 08,2015 from 10am - 12pm est. We hope you can tune in and support our efforts. Born 1968 in Washington DC, making my way to Vauxhall NJ, I was introduced to a DJ by the name of George Potter (aka Iron Balls) by my cousin Eric who helped me create my first mix with two turn tables at the age of 13. Years later I met Mark Thompson by way of George Potter. He helped me polish up my skills on blending and taught me how to use a reel to reel. Other mentors to me are Vernon Roberts, Phase III Disco aka DJ Butch, and Larry Morman. It was when I went to my first night club New Experience and listened to Mark Thompson mix with 3 turntables and a reel to reel and said this will be me someday. The success of our Summer Slam Music Series 2015 has prompted us to keep this series going until the end of October 2015 and beyond.We have now changed with the season to our Autumn Music Slam Series 2015. We hope you continue to support our guest dj?s and shows offered not only for this series but all of our original shows and line-up of excellent music programmers here at our site.I would like to thank everyone that has been involved and participated thus far in this series.So far we have featured some fantastic music programmers from all over the country and will continue to play them as long as deejay?s submit their mixes. If you are interested in having Cyberjamz Internet Radio air your mix please email a 2 hour set,a short bio and Dj picture to contacthousecat@gmail.com . A playlist attached to the sets would be gladly appreciated as we feature the mixes and info at our Cyber-Podcast Page ? http://souloasis.cyberjamz.com .The Autumn Slam Music Series air every Thursday from 10am to 12pm est USA time. 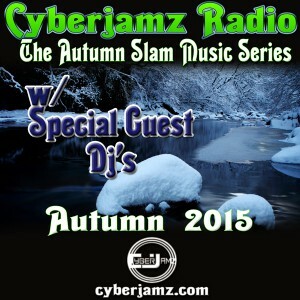 The Cyberjamz Radio Autumn Slam Music Series continues with Dj Zion. This fantastic deep n soulful deejay is about to lay it down for us this coming Thump-Day Thursday Oct 15,2015 from 10am ? 12pm est. WOMAN POWER on Dex in full force ! This wonderful set aired during our Autumn Slam Music Series with Dj CoolSunnyT.We hope you enjoy this set as much as we did. As an emerging DJ, CoolSunnyT who is also often called, ?Moni the DJ?, makes no attempt to hide her love for music. Her musical ear takes in all that is good, new and true under the vast umbrella of smooth jazz, quiet storm, deep and soulful house music. Since her youth, CoolSunnyT has been encouraged to DJ given her natural ability to program blends; she also has a Masters and Bachelor?s degree; one of which is in Mass Communication ? so the art & science of producing and mixing is very much part of her make up. Being heavily influenced by artists as wide and varied as Paul Hardcastle, Hiroshima, Sherry Winston, Regina Carter, Jean-Luc Ponty, The Isley Brothers, Four Play, Phyllis Hyman, Euge Groove, Louie Vega, Kerri Chandler & Jovonn, has led to a very eclectic and unique mixing style employed in each and every one of CoolSunnyT?s mixes, ensuring that each cut is a pure & melodic musical cruise through genres, emotions and moods. After much prodding from family and friends, she has FINALLY taken the plunge and is now officially DJing! You can experience the musical journey of her mix sessions on:https://soundcloud.com/coolsunnyt. Cyberjamz Radio continues to serve it proper by featuring some of the industry game changers and in this episode we are proud to include C.E.O of In the Zone Ent. and Nubang Clan brother Dj Ant B Inthezone. If you missed this awesome set featured during our Autumn Slam Music Series then here is the AntCast for download ! Excited about the sounds of Hip Hop and R&B music mixed with a Northern Flavor, Anthony ?DJ Ant B? Bennett, began to spin records in 1980. The partygoers in New Jersey did not know what hit them. He took over the scene doing most of the neighborhood parties. Inspiring to be the best and working hard to get there, he became a household name. In the 1990s, he began spinning the North Jersey hot spots and college circuit. He played with artists such as, Leaders of the New School, Nice and Smooth, Gang Star, Jeff Redd and Chubb Rock. He realized being a DJ was more than just a hobby. He learned it was his gift. His audience felt his passion and love for music, as he gracefully blended and transitioned from song to song. Crowds poured into venues to hear the impeccable sounds of the crowd pleaser, DJ Ant B. His career began to take off. He played for top New York and New Jersey designers as well as headlined parties for Las Vegas comedian, George Wallace, Atlanta radio personality, Si Man Baby and NFL football star, Dion Sanders. Continuing to grow, DJ Ant B broadened his horizons. Inspired by the Godfather of House Music, Frankie Knuckles, he took in interest in House Music. With a pencil and pad in his hands, he attended clubs such as the Zanzibar, The Shelter and Paradise Garage. It didn?t take long for DJ Ant B to began playing in house music club and after hour venues. His pursuit to excellence led to playing along side legendary Colonel Abraham and Fonda Rae. 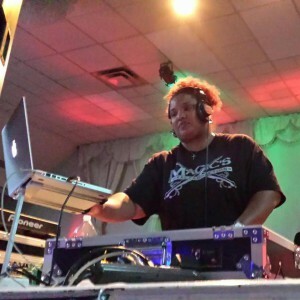 DJ Ant B is multifaceted. He believes in sharing talents with and giving back to his community. 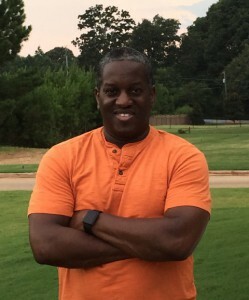 He sponsors the Atlanta, Georgia Dynamic Kids Expo and participates in fundraiser events for Phi Kappa Kappa Chapter of Omega Psi Phi Fraternity, Incorporated. Currently, DJ Ant B is the Founder and Chief Executive Officer of an internationally known record label and internet radio station, In the Zone Entertainment. He affords new and veteran artists in the United States and abroad the opportunity for their voices to be heard. He works diligently with each artist to create and produce the perfect tracks. 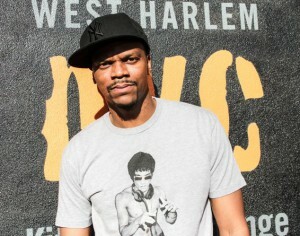 He also collaborates on remixes with other well-known House Music producers. DJ Ant B is a proven professional Mixologist. Look for DJ Ant B in a city near you! The Cyberjamz Radio Autumn Slam is midway through as we featured yet another hot music programmer in Zaid Abdulrahim (NYC). Take a moment and listen n download this fantastic podcast. Sponsored by Cyberjamz Radio,The House of Soul (SammyRock and DjHousecat(la gata de fuego) , Robbi Walcott Promoter,Rescue Poetix,Black Cherry Productions,Greg Gray & The NuBang Clan,Jorge Garcia Graphix and Design,Solid Rob Da' Noize Temple & Venus Ka for Global Entertainment. The Cyberjamz Radio Autumn Slam Music Series at Cyberjamz Internet Radio is rockin hard with Special guest DJ Czezre!! 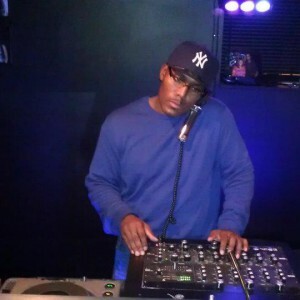 DJ Czezre was born and raised in the city of Newark. His love for music started at the young age of 5. He picked up his first instrument and began to teach himself note by note on guitar. He began to start reading music at the age of 9 and playing the trumpet in middle school with Eugene and Gene Phipps. His love for becoming a DJ started when he was in middle school in 1980 with DJ Sahib Muhammad. Club Khayyam, Club America, and the Peppermint Lounge in NJ. Chyld in the UK, and many more. He continues to stay active in his first love of house music with being the official DJ for 'That Kid Clothing Line' while being the DJ for all of their venues nation wide. He is making many podcasts, soundclouds and live online broadcasts with many different online sites, and radio stations such as Chill Lover Radio and Plum Radio with several guest spots at Club 6 in Newark. Look out for more club music and new productions with various artist due out by the summer. Keep up with me on Twitter, Facebook, and SoundCloud! The Cyberjamz Radio Autumn Slam Music Series at Cyberjamz Internet Radio is rockin hard with Special guest DJ Czezre was off the hook ! download this fantastic set and hear why this music series is do dammmm good ! !